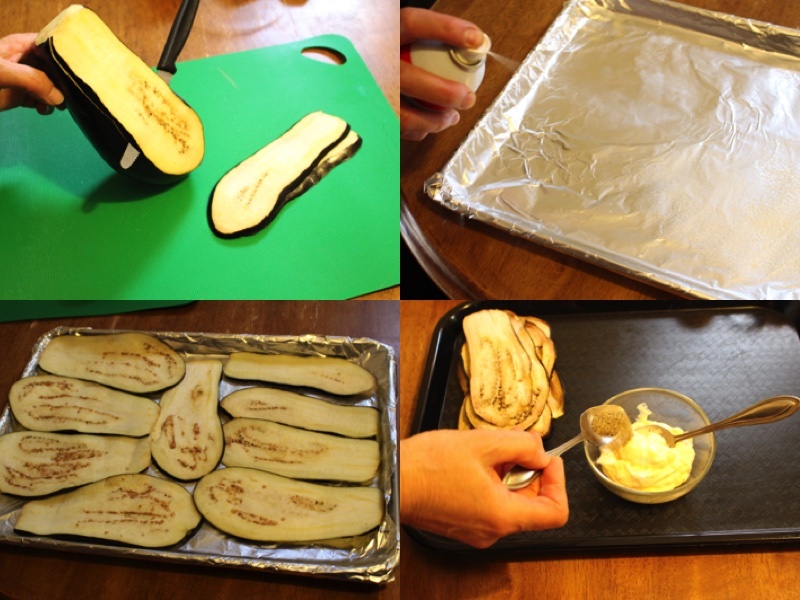 3) Place foil paper on your backing sheet/ spray some oil / place your eggplant slices closely next to each other. 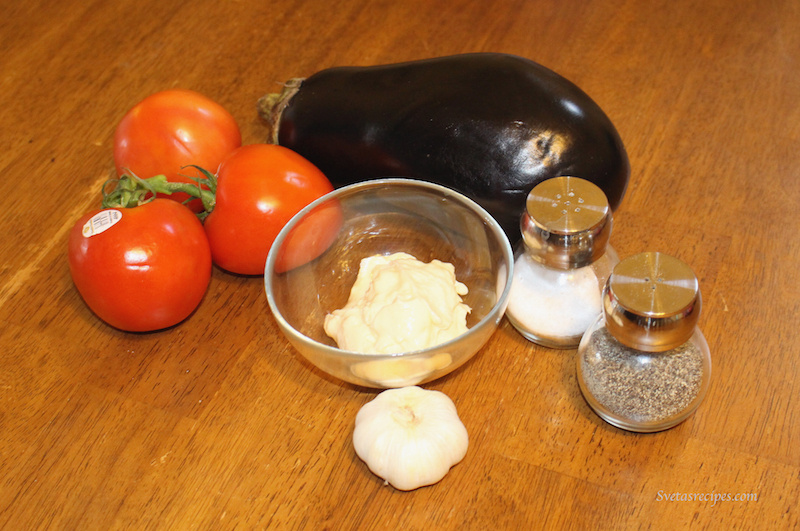 Put it into the oven for 15 minutes at 375 F.
4) In a small dish put the mayo and add the black pepper/ salt and squeeze garlic and mix together well. 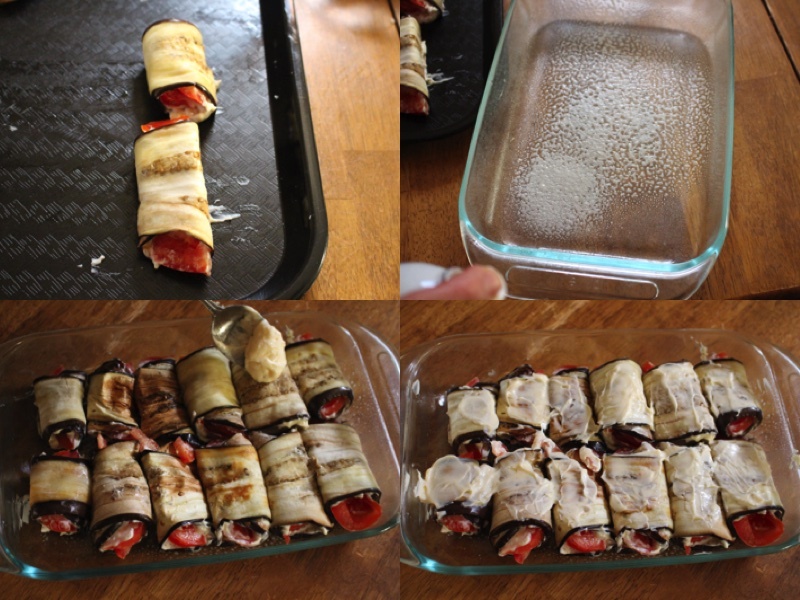 7) Place all of the eggplant roulettes next to each other in a backing pan and cover the top with a very thin layer of mayo. 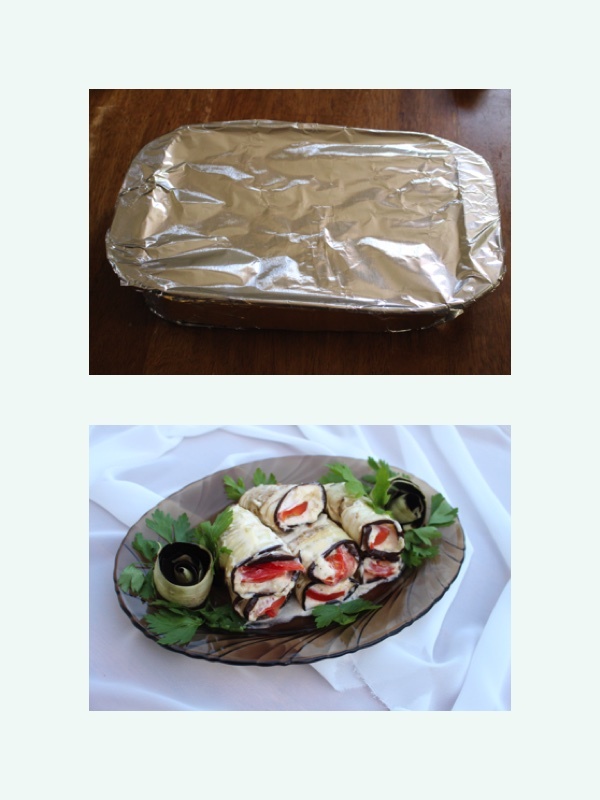 Cover the top of the pan with foil paper. 8) Preheat the oven at 400F for a few minutes and then put the backing pan in the oven and let it bake for 35 minutes. 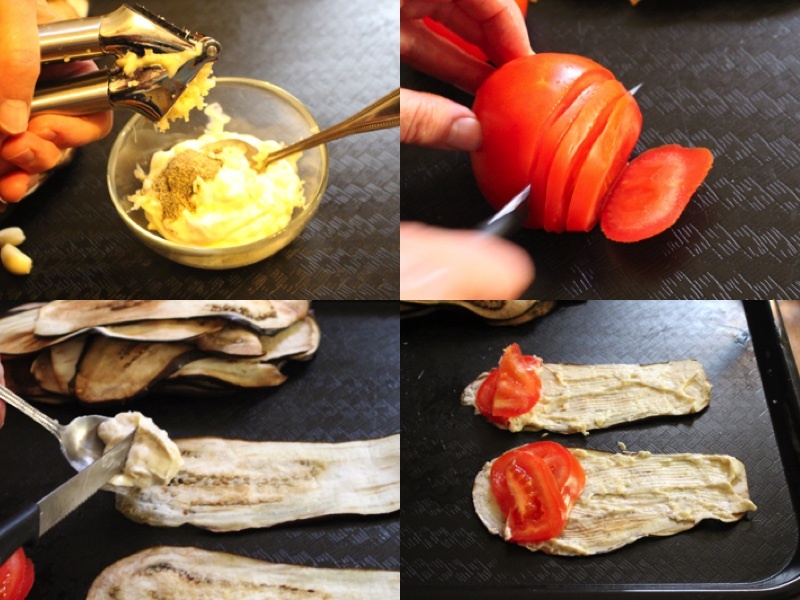 Place foil paper on your backing sheet/ spray some oil / place your eggplant slices closely next to each other. Put it into the oven for 15 minutes at 375 F.
In a small dish put the mayo and add the black pepper/ salt and squeeze garlic and mix together well. 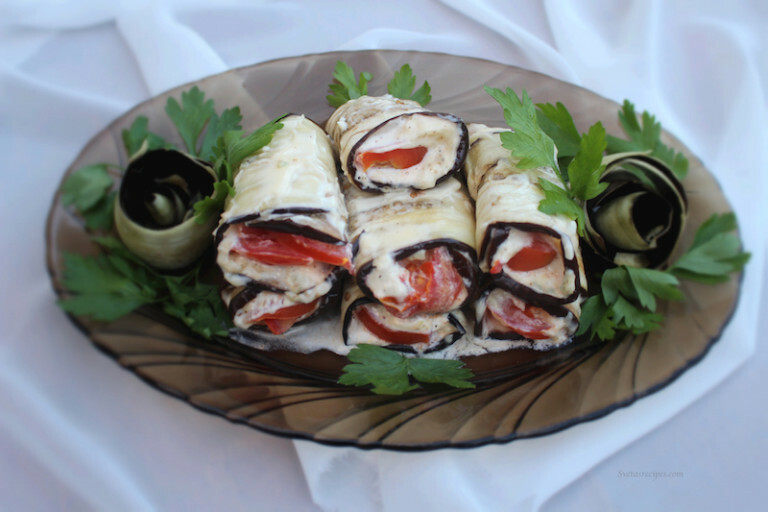 Place all of the eggplant roulettes next to each other in a backing pan and cover the top with a very thin layer of mayo. Cover the top of the pan with foil paper. Preheat the oven at 400F for a few minutes and then put the backing pan in the oven and let it bake for 35 minutes.